Free Cell Phone Unlock | Software | Codes | Samsung S4 Free Unlock! Got a Samsung Galaxy S4? 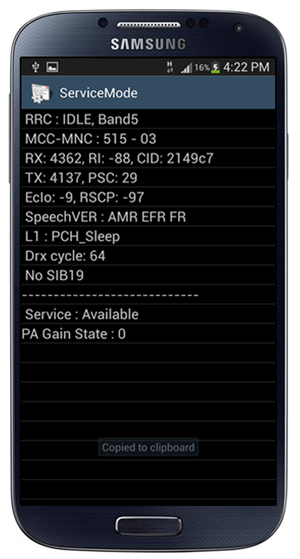 It’s a really cool phone but 9 times out of ten you probably bought it from somewhere like T-Mobile or AT&T, this means more than likely you have a ‘locked’ phone. This means that you cannot use other phone services with your existing phone (the S4). No need to worry, this free cell phone unlocking guide will help you to quickly and permanently unlock your phone. This free cell phone unlocking guide only applies to the Samsung GT-I9505 only. It may also work with other models but this isn’t guaranteed. Press the “Menu” button, then press the “Back” key. After that, press the “Menu” button again. Select “KEY INPUT.” Enter 1 and press the “OK” button to enter ServiceMode. Again, press “Menu” button and press the “back” key. This will make the Main Menu for ServiceMode. Then, Tap  UMTS. Select DEBUG SCREEN. 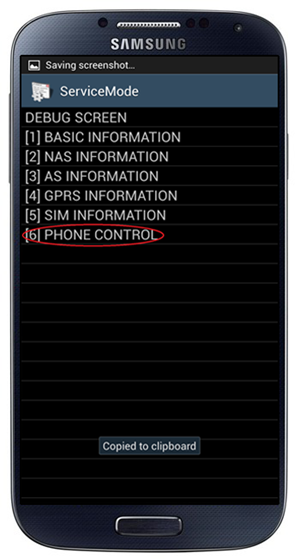 Then select  PHONE CONTROL. 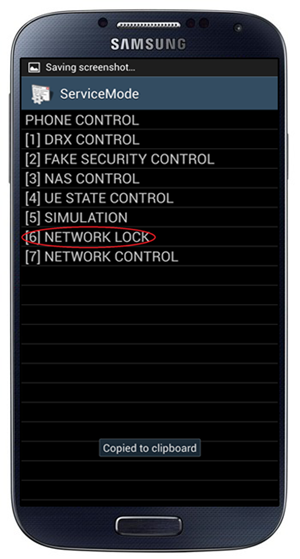 From the next screen, select  NETWORK LOCK. There will be 3 options. 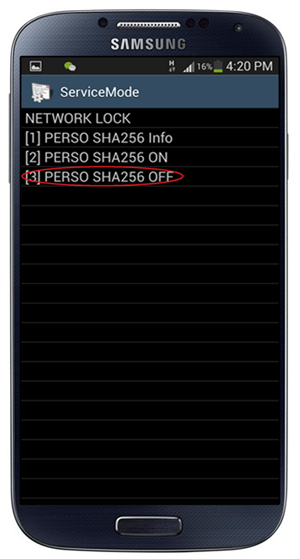 Select  PERSO SHA256 OFF. Now, go back to Main Menu by pressing the “Menu button” and then pressing the “Back” key. 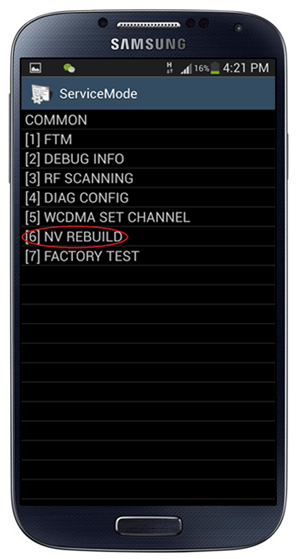 In the Main Menu, select COMMON, and then  NV REBUILD. 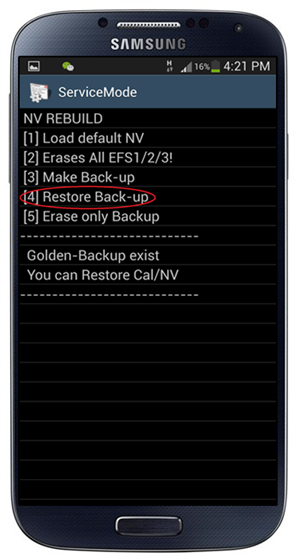 The phone will tell you that a “Golden Backup exists”. Select  Restore Back-up. The phone will tell you that a “Golden Backup exists”. Select  Restore Back-up. 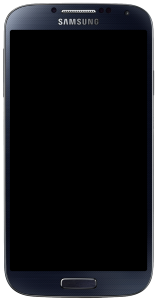 Your device will now experience a series of “conditions”, where it will first freeze, then get on a black screen with Blue LED on and both capacitive buttons on. After that, your device will reboot automatically. The whole cycle might take several minutes, so be patient. Once your device’s power turns back “ON”, it is permanently “network unlocked.” Enjoy! Software confusing? 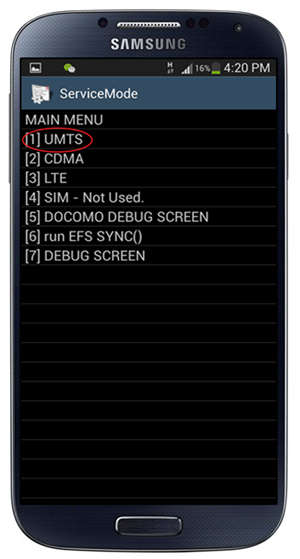 Need your S4 unlock code?